Karina's Kreations: Beautiful Christmas card! I'll be sharing some beautiful Christmas cards I've been receiving from my friends over the next couple of days. This pretty card is from Sondra. I love the her simple design with a pop of color. She used the Seasonal Wreath Embossing Folder on Shimmery White card stock and added Frost White shimmer Paint over the the embossed area. 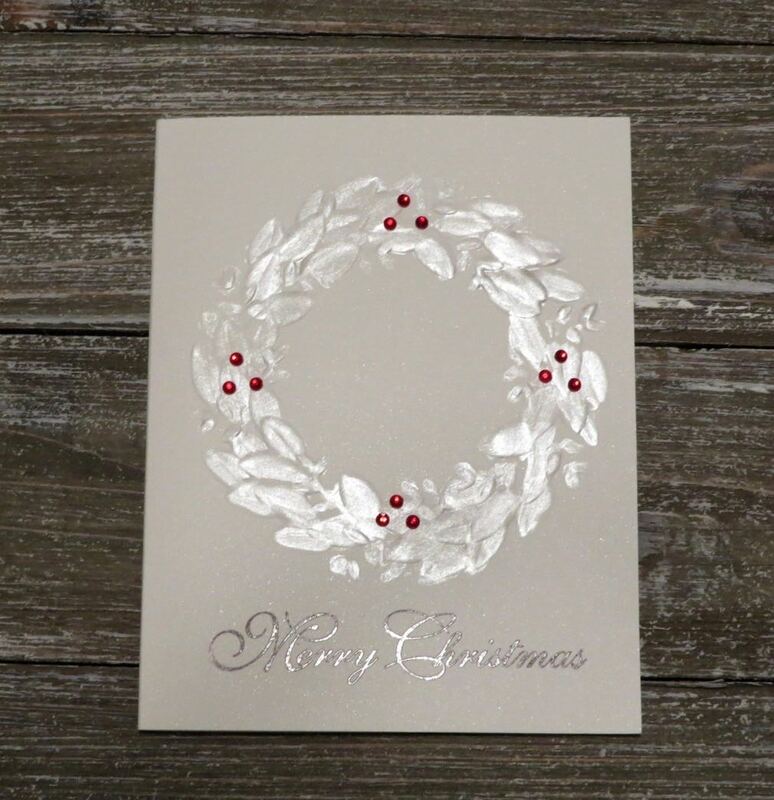 She also added Red Rhinestones to the Christmas Wreath and embossed the sentiment with Silver Embossing Powder. The Red Rhinestones are on the clearance rack. To place an order please click on a picture below.